Style and space abound in this fully detached home conveniently oriented to the Disney Parks, Anaheim sports teams, ConventionCenter, freeways and more! Rich hardwoods run throughout living areas while modern subway-style floor tiles add appeal tokitchen and bathroom spaces. The kitchen gleams with marble countertops, stainless steel appliances and chestnut cabinetry.Design continuity runs throughout the home with upgraded custom privacy shades, chic accent walls, ceiling fans and flooring.Walk out directly to your attached two-car garage or relax in the private yard with large patio and zero-maintenance greenspace. Upstairs, ample dual master suites flank an office nook and separate laundry room. The owner+GGs suite includes a largewalk-in closet, dual sinks and jetted tub for ultimate comfort. Take advantage of the idyllic layout and countless local amenitiesof this fully detached newer home! 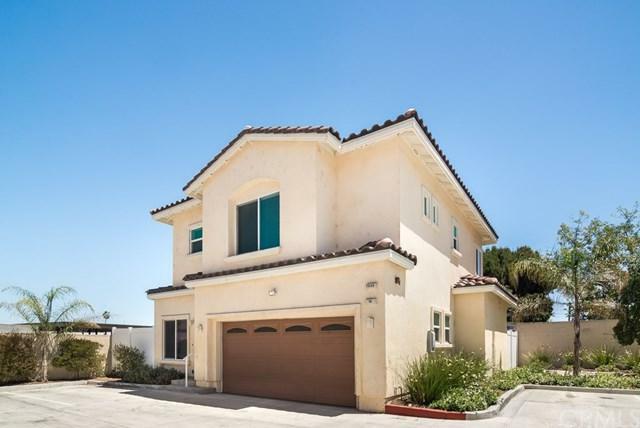 Sold by Yi Wang of Pacific Realty Center.